Mumbai: Footwear company Liberty Shoes plans to raise ₹ 500 crore for expansion projects. 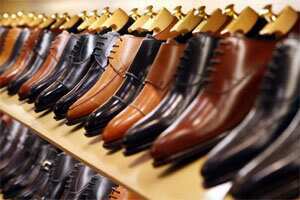 “We are planning to raise capital to the tune of ₹ 500 crore for various projects within the ambit of the shoe industry. We are looking at large expansion of our retail stores apart from modernizing infrastructure in terms of distribution and warehousing over the next three years," Liberty Shoes chief executive Adesh Gupta told PTI. On revenue, Gupta said the company is eyeing a 15-20% growth in revenues this fiscal from ₹ 306 crore last year. Liberty, which has Hrithik Roshan as its brand ambassador, has a 10% market share in the ₹ 3,000-crore organized shoe market, which is growing at 10% annually. The merchandising segment, with bags, purses, belts and socks, contributes 10% of its sales. To a question on whether Liberty has any plans to extend its accessory portfolio, Gupta said perfumes could be an extension, though “not as of now". Of late, the company has been focusing on the South, especially Tier-II and III markets, and opened 25 stores in the first half this fiscal. “Gujarat is our next destination where we would like to expand, because of the growth there. Bihar is also a good opportunity. We will look at these states where the economy is growing very fast," Gupta said. Liberty is also planning to expand overseas presence by entering South Africa and Russia. “We are participating in exhibitions in South Africa and the ex-Soviet Republics (CIS)," he said. The company operates 30 stores in Dubai, Kuwait, Jordan, Saudi Arabia, Fiji and Singapore through franchisees.